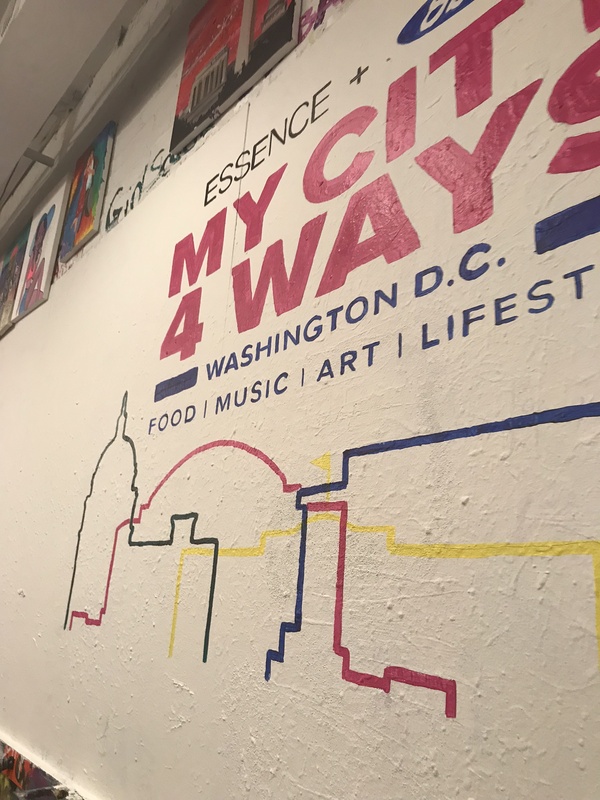 I had quite a busy, yet amazing and awesome weekend at the Essence + Ford My City 4 Ways pre-event dinner and food, music, arts and lifestyle festival’s DC stop. 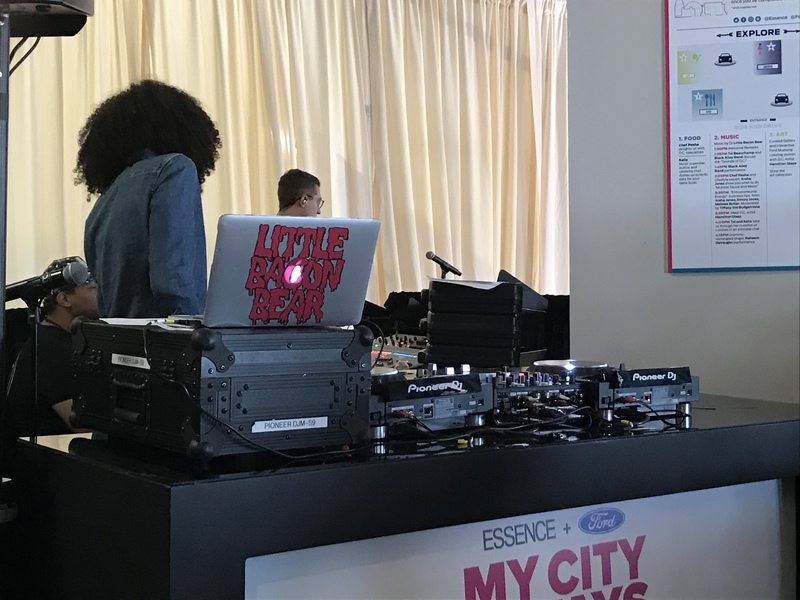 The second annual event gives both brands an opportunity to bridge their respective audiences in a festive journey that infuses culture, celebs, influencers in an open air venue that is the revitalized Union Square Market. Before the Saturday day-long festival, I was fortunate to be invited along with a few bloggers, social media taste makers and the like to pre-game the evening before at a Dine and Paint and Sip and Paint event at ArtJamz, a preeminent creative art space in Dupont Circle, launched by DC’s Capitol File Magazine’s editor in chief Michael M. Clements, in the spirit of independence and innovation of the Washington DC artistic influences of Duke Ellington, Dave Chappelle, Marvin Gaye, Go-Go Music, Chuck Brown, Dave Grohl and more. 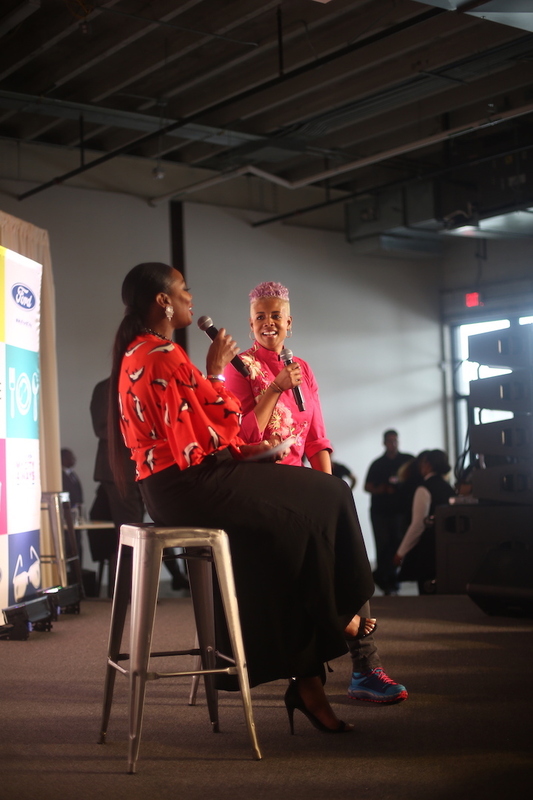 Before dinner, I sat down to chat briefly with Raj Register, Head of Brand Strategy and Growth Audience Market at Ford, who shared that Ford came up with the concept with Essence to curate from a “grassroots level” an experience event to be developed to the national level. 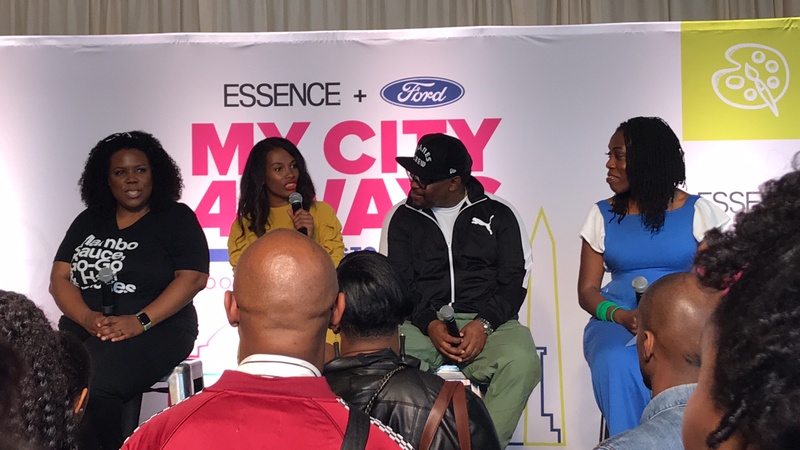 The concept selected DC, Memphis and Atlanta because of these three cities’ high concentration of women and the opportunity to make maximum impact and reach for the target demo. Register shared that Ford has a new partnership with the WAZE app “so instead of looking on your phone like we know you shouldn’t be, when you plug in your iPhone, it will activate the app” and also talked a bit about other forthcoming tech partnerships. Some current and future vehicles will have “Wi-Fi” connectivity. “If you want it, we have it,” she added. Another wonderful addition is the rear view camera tech that will be standard in all vehicles moving forward! That’s great news for families. Good stuff! 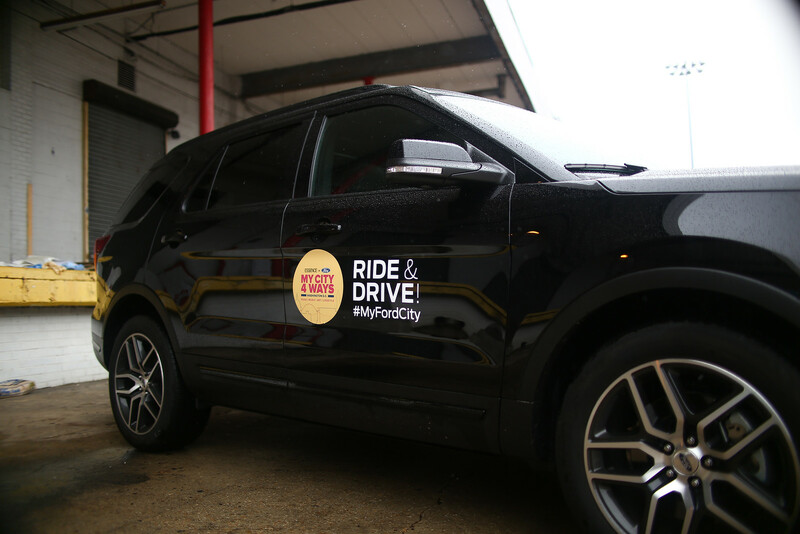 During the festival the next day, participants and attendees would get an opportunity to “Ride and Drive“, e.g., take a test drive or ride along in Ford’s recent vehicles in their fleet, and experience the new technology and other amenities for themselves first hand. It’s all a part of a mission to cultivate new brand affinity in emerging markets. 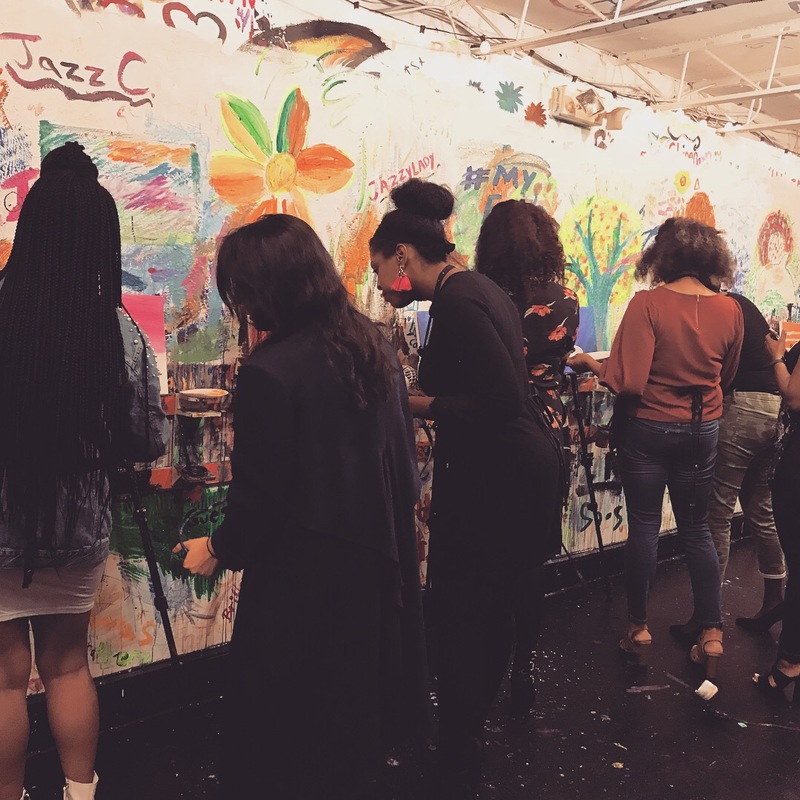 Back to Friday for a bit: after enjoying a yummy salmon dinner with wine, I and my fellow bloggers headed down to ArtJamz’s studio space to create our very own artistic interpretation of the Ford Mustang Pony. 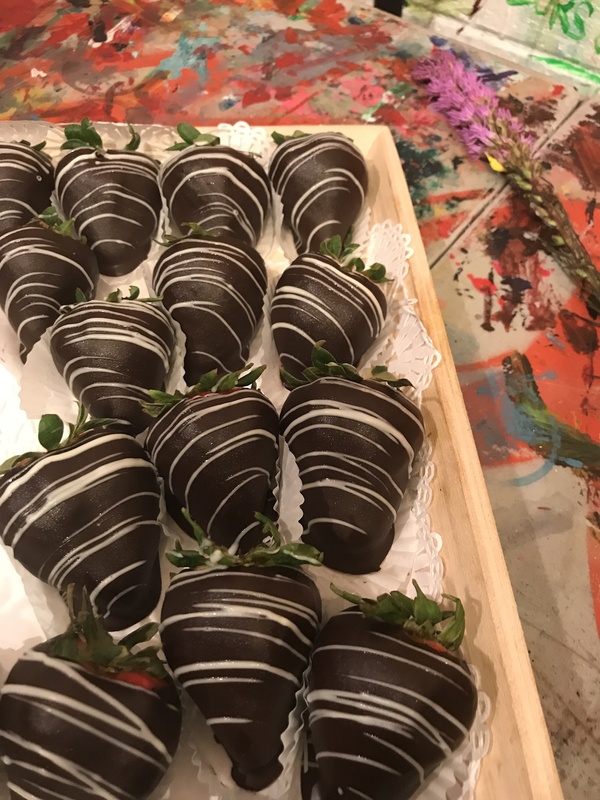 In between brush strokes, we noshed on dessert, a nice sampling of cupcakes and chocolate covered strawberries. It was a fun time!! I loved meeting new friends there and connecting and networking with the wonderful dynamic group of women who organized the event. 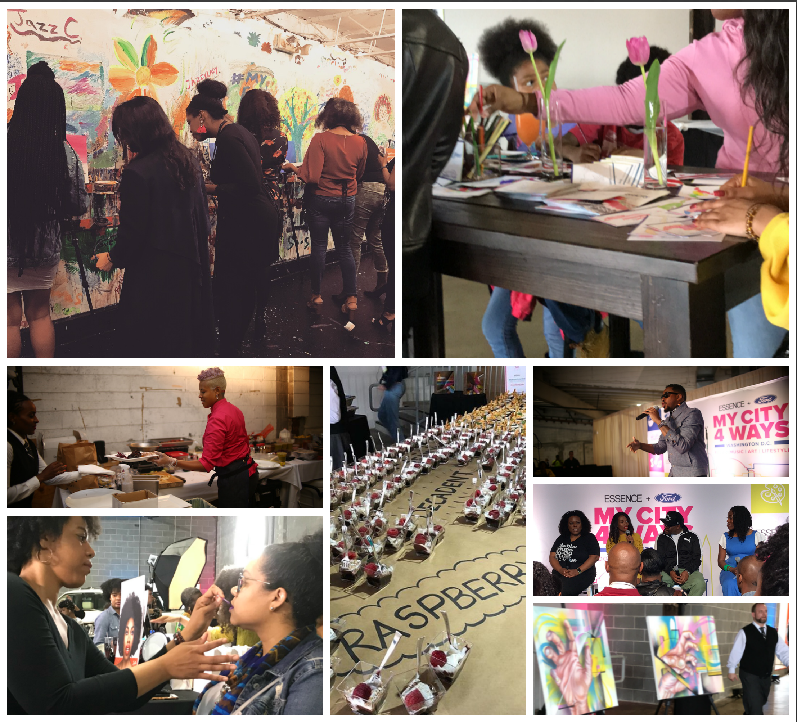 It was a marvelous sisterhood experience! 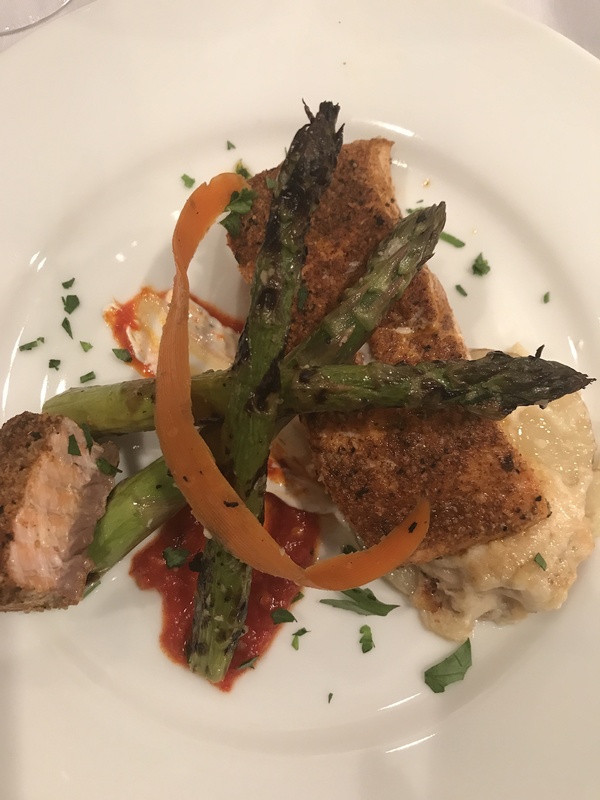 I enjoyed this dinner of blackened Atlantic salmon with grilled asparagus and potatoes au gratin so much, I went home and purchased a few stalks of asparagus to recreate the meal later. We were joined by renowned artist Hamilton Glass who recreated the campaign’s logo on a wall in the art and dine studio. At the event the next day, I ventured out in the drizzly day to experience the last stop of the My City 4 Ways tour, after a stop in Atlanta and Memphis late last year, the other two cities on the tour. I got there just in time to catch a panel of entrepreneurs hosted by friend Tiffany Aliche, The Budgenista that included another friend, Arsha Jones of Capitol City Mambo Sauce and Tees in the Trap successful multi-million dollar business ventures along with Roc Nation apparel’s Emory Jones on the panel as well. 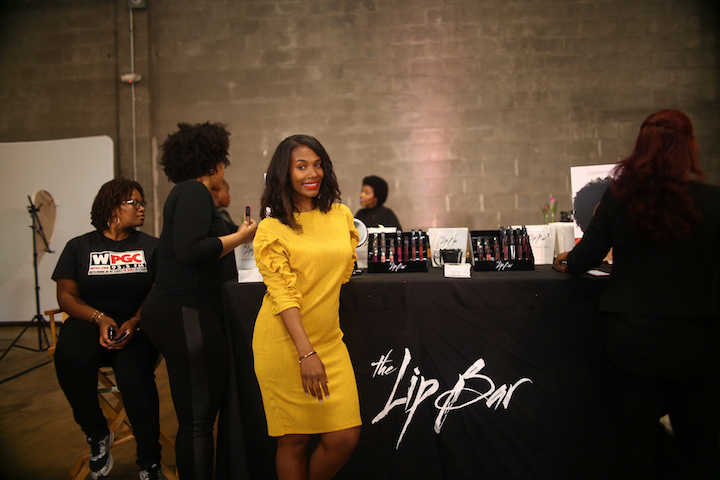 Also, I am a new fan of Melissa Butler, the founder and creator of a line of vegan lipsticks called The Lip Bar. She too was on the panel. 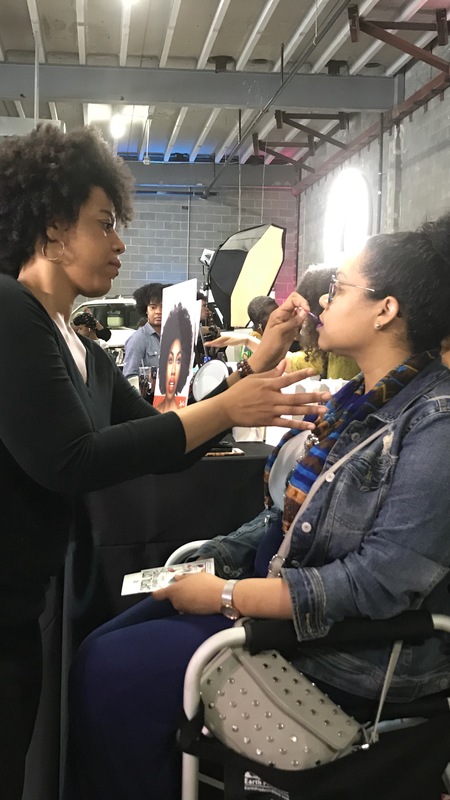 Her brand was there offering all attendees a free matte lip stain! 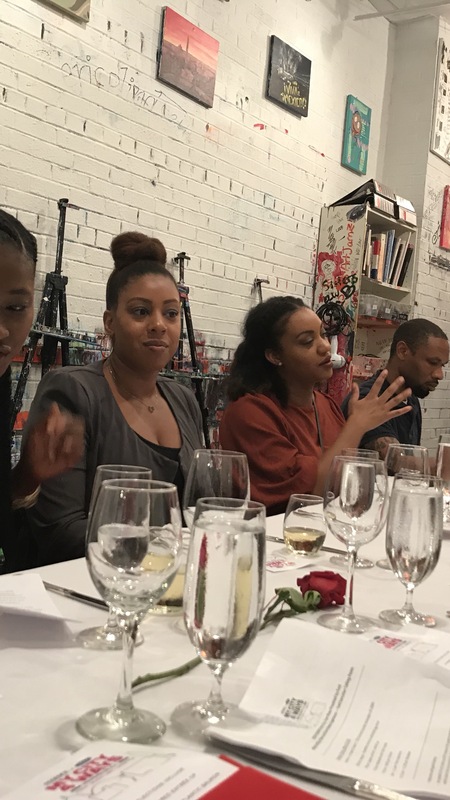 Our Bellyitch Bumpwatch alum Kelis served up some of her specialties from her new cookbook, “My Life on A Plate“, then later participated in an on-stage Q&A talking her new line of sauces called Bounty and Full, and balancing motherhood with a recording career and entrepreneurship. 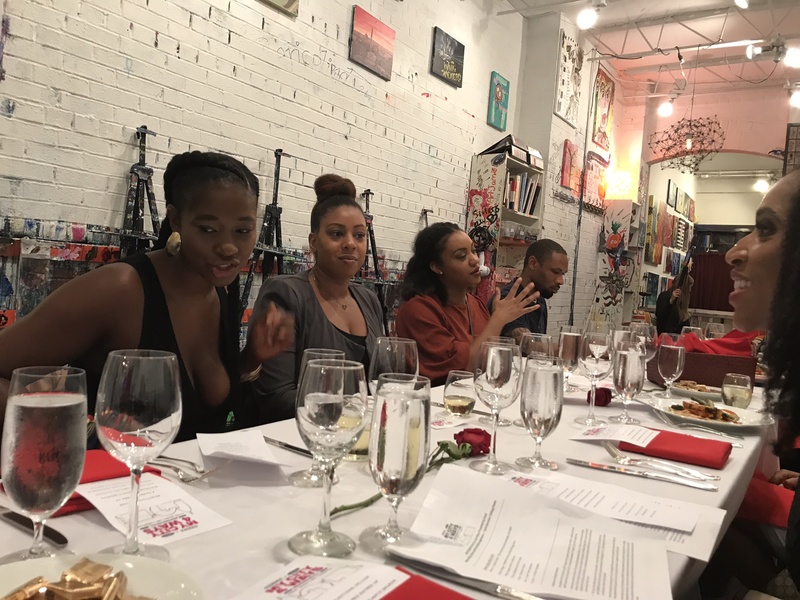 Southeast-DC born and bred band Black Alley shared their brand of unique musical elixir that the group describes is made up of hip-hop, soul, and rock to create a genre-bending sound called #HoodRock”, adding some authentic DC flare to the event. 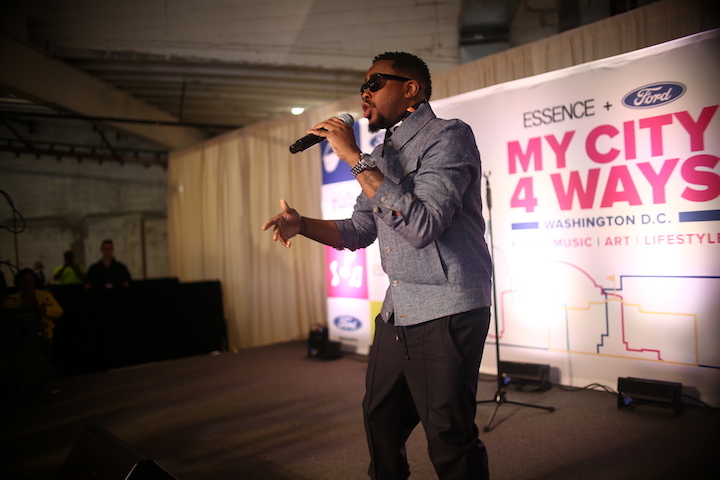 DC’s own Grammy-nominated, BET Awards-winning recording artist Raheem DeVaughn swooned the audience with some soulful R&B crooning of his own power hits and a few other well-known covers. 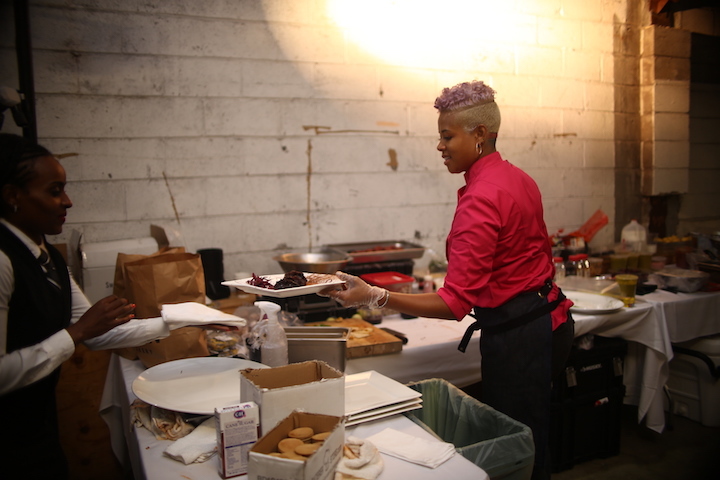 Chef Resha of the very popular Carnal Dish blog provided a sampling of delicacies from her kitchen. I am in the market for a new SUV myself and our first family car was a Ford Explorer. It was also awesome to get to ride in a 2017 Fusion because I never realized how roomy the 4-door sedan was inside and so much so that it could sub for the larger vehicle we were planning to get. 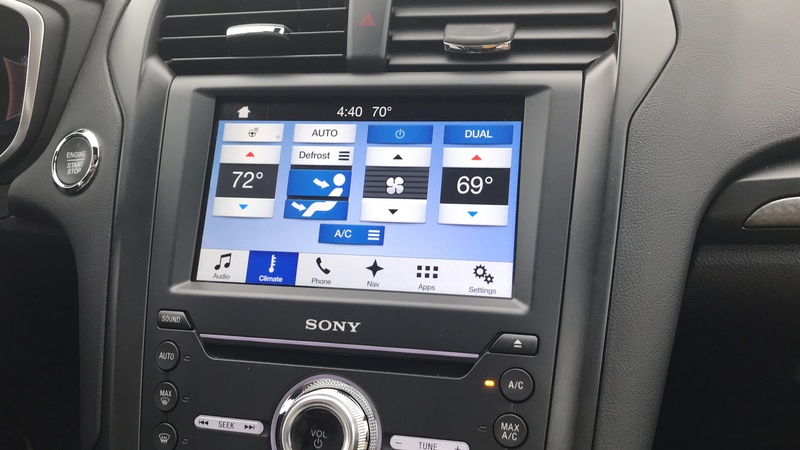 I really dug the dual control temperature system and the fact the new 2018 versions will be Wi-Fi-enabled. Also, I checked out the latest version of the Explorer. It has been upgraded substantially since with a quad tip exhaust and 20-inch machined aluminum wheels with painted pockets,a powerful 3.5L EcoBoost® engine, sport-tuned suspension and a best-in-class 15 365 V6 horsepower with a six-speed SelectShift® automatic transmission. And practically speaking, the seating remained pretty spacious with lots of cargo room in the back for family road trips, hauling furniture or groceries. I love the hands-free, foot-activated liftgate feature as well as the 180-degree camera with Split-View and Washer. 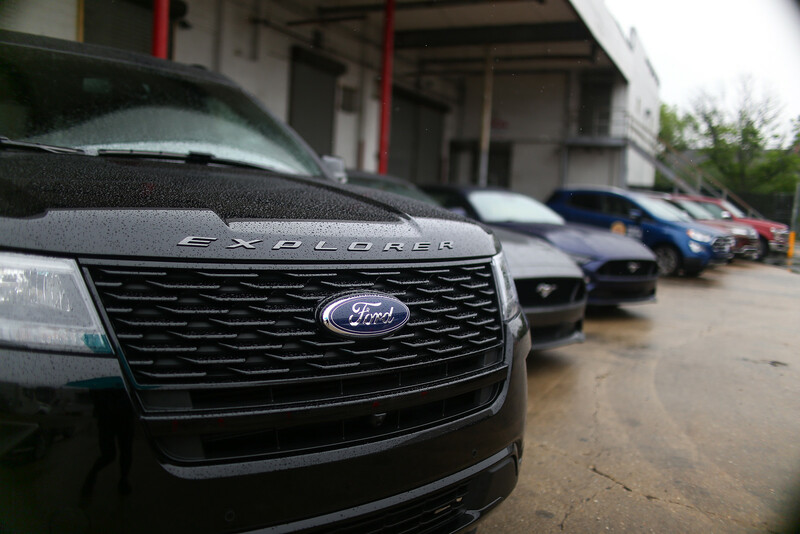 For safety purposes, the vehicle also comes with a branded Ford Safe & Smart® Package feature that alerts you of unintentional lane drifting and allows you to set cruise control and select the speed and distance you want to maintain from the vehicle in front of you. 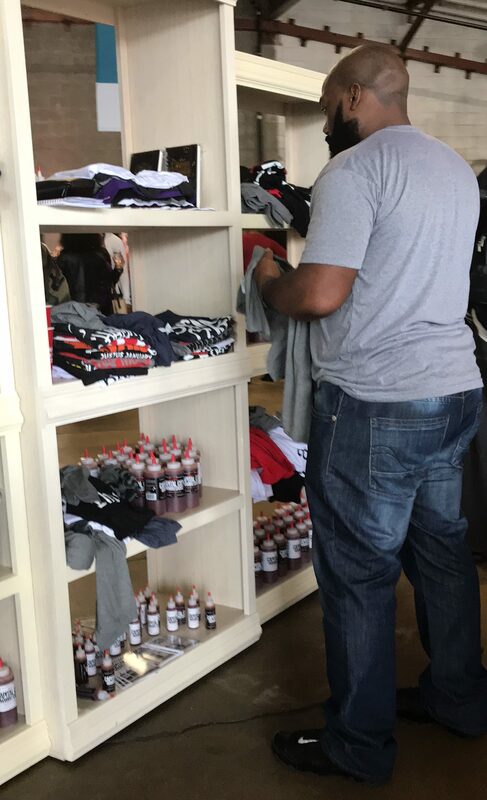 Lots of good stuff. We definitely will be exploring (pardon the pun) this option on our search. The Lip Bar did lipstick makeovers. I listen to WKYS-FM on the radio in the evenings at times so it was also great to see one of the DJs on there I admire, DJ Little Bacon Bear (real name Khalia Canty). I asked the petite curly haired DJ about the origins of her name and she shared it came from a childhood friend for a fictional dynamic duo they formed. That friend is now a flight attendant. “I’m sure she’s no longer going as our childhood name,” the 5’1′ 100lb young talent laughed! Captiol City Mambo Sauce and Tees in the Trap vended and I copped a fab “Thug Wife” Tee! Overall, it was a wonderful weekend experience that I highly recommend everyone attend if they can the next time the tour makes a stop. There are new cities being added as the festival expands! Keep an eye and ear open for them when announced! I’ll keep you guys updated when I hear again! Over 9 million people have enjoyed Bellyitch's Award-winning Celeb "bumpwatch" pregnancy and parenting blog. Trying to Conceive? Download our FREE Fertility 100 ebook. Hunting for Top Maternity or Kids Brands? Our Bellyitch 100 is the free resource for you. Baby Shower Shopping? Check out out Top Picks on Amazon or our Gift Guides.